Mornings can truly be a real life struggle for those of us who find it impossible to crawl out of bed when our alarm rings. Some mornings you may not even find time for breakfast. This is why we have the lovely Laura from We Made This Home here to help, with a quick and easy recipe to make those early starts that little bit easier. 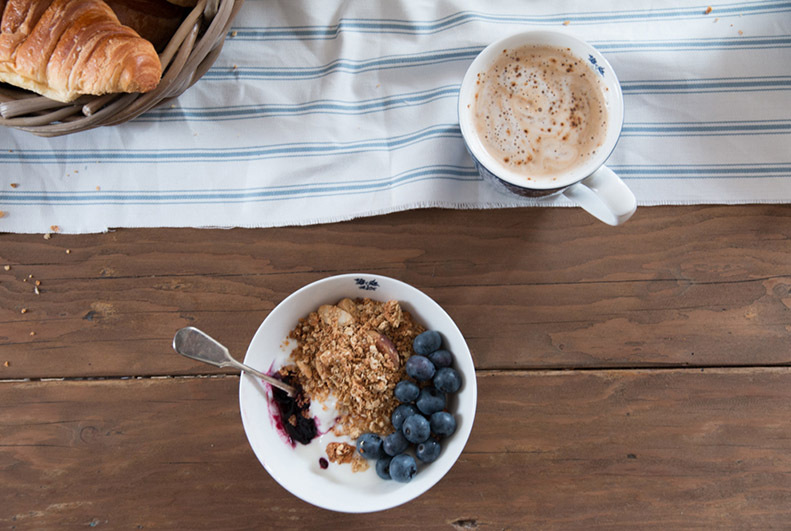 How do you like to start your day? 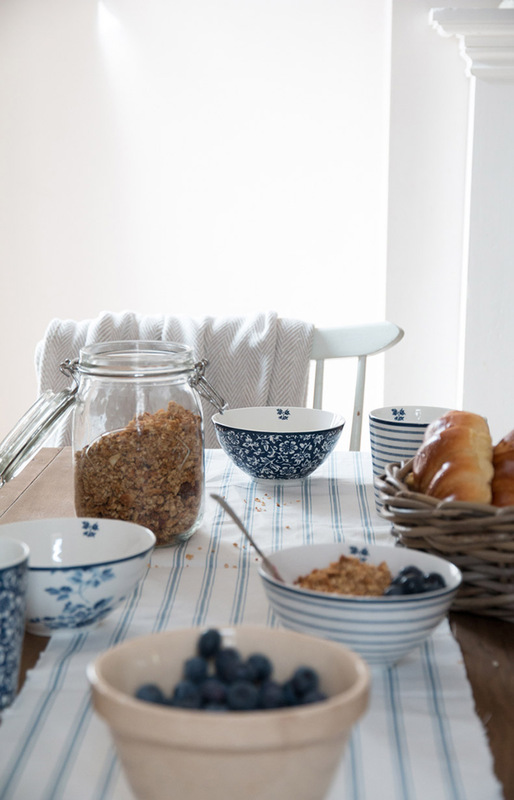 Every morning, without fail, we gather around the table for breakfast, mix and match bowls, messy hair and sleepy conversation, it is one of our favourite times of the day together. 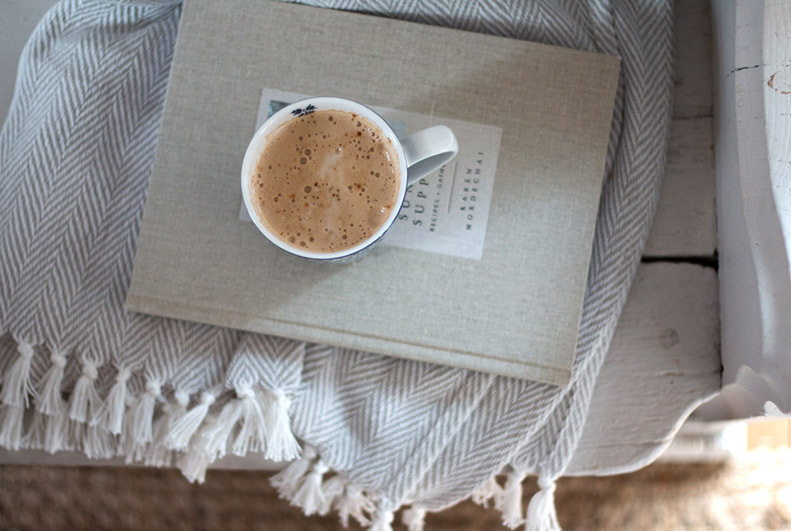 During the week it is, more often than not, a rushed affair as we usually have something to get up and out of the house for, but at the weekend we take our time without the need to rush. Breakfast here, this weekend was a real treat as we took our time, I pottered in the kitchen making our favourite granola recipe with our tiny boy sleeping in the sling whilst my husband and little boy played with legos. 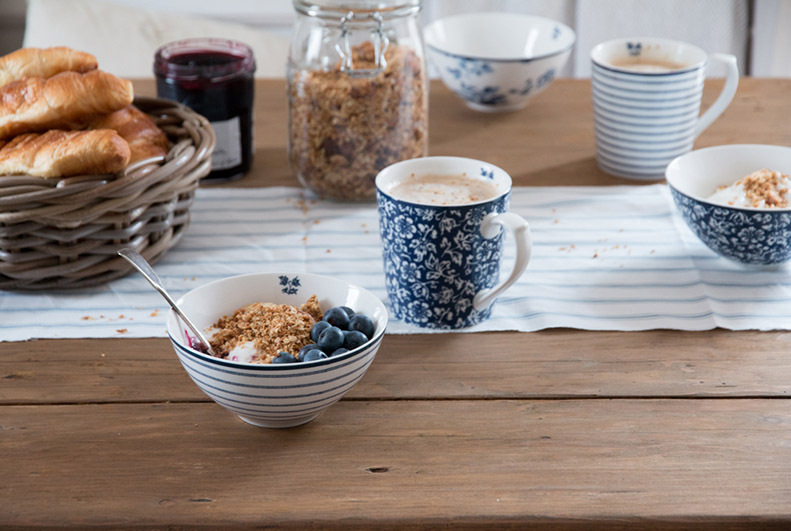 When the granola was in the oven I made a coffee and set the table with our new Laura Ashley china mugs and bowls. 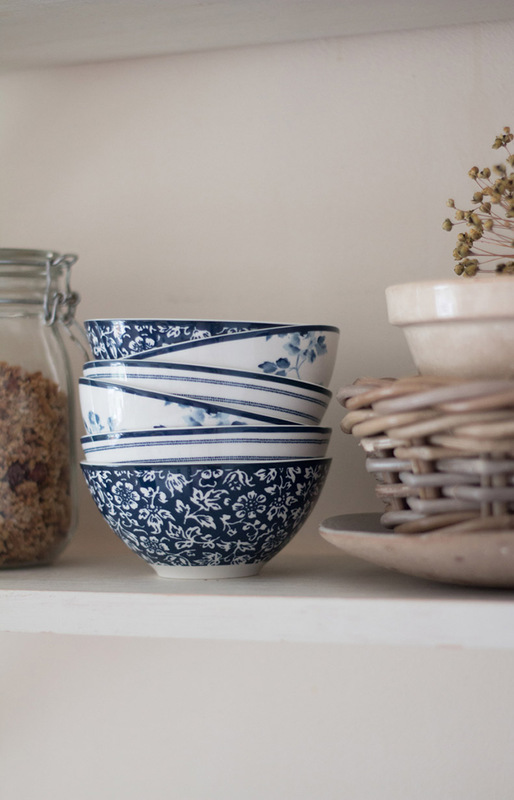 I love this mix and match set of blue and white china, it is an eclectic collection consisting of three different traditional designs each with a contemporary twist. 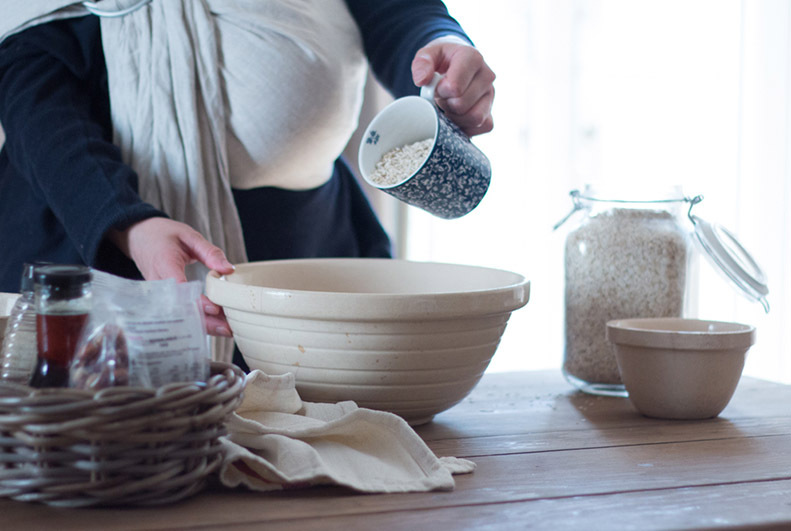 Mixing and matching tableware is a great way of creating a relaxed look and to add a rustic touch I have also used woven baskets, great for holding bread or croissants. To keep us all cosy I added the herringbone striped throw to the backs of the chairs (you will always find a throw in arms reach here). A bowl of homemade granola is a great way to start any day, I have a simple recipe that can be made within about half an hour and tastes so delicious. I love making it as much as I love eating it, it gives me a real sense of warmth and comfort. I also love that I am providing my family with something homemade and wholesome to kick start the day. Combined with fresh fruit and natural yoghurt it makes the perfect breakfast. 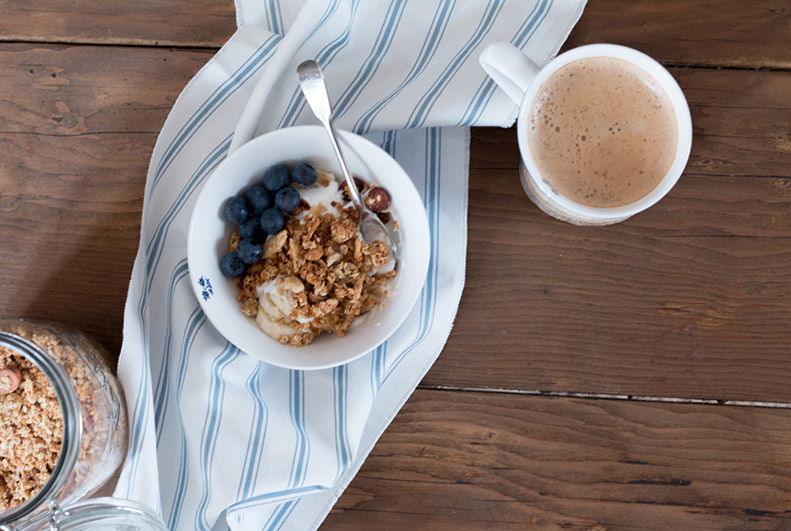 Here’s how to make a tasty granola. Method: Combine all the ingredients and pop in the oven on a medium heat, 350 degrees, for about 20 minutes. 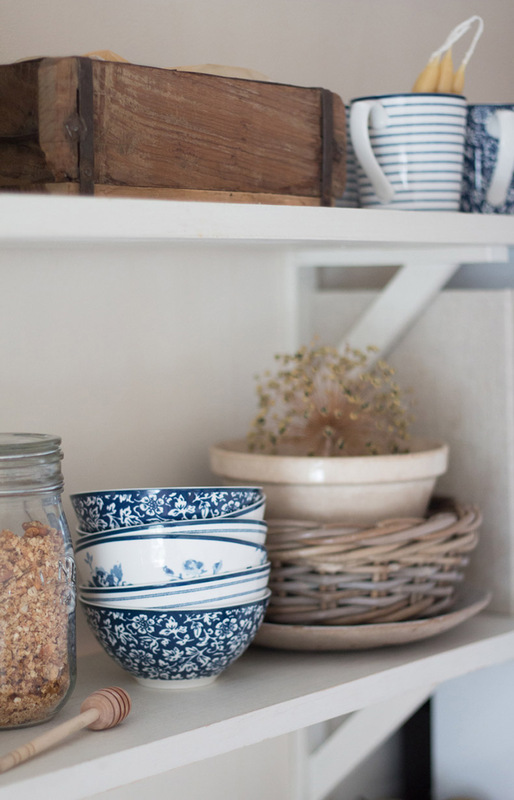 Do you have a go to recipe for your mornings to make them a little less stressful? Let us know what that is below or on Facebook! This entry was posted in Favourite Posts, Make & Do and tagged blue and white china, blue and white dishes, bowl, candy stripe bowl, candy stripe mug, china, china rose, china rose bowl, china rose mug, granola, granola recipe, healthy recipe, kitchen, laura ashley kitchen, laura ashley usa, mug, sweet alyssum mug, white and blue china, white and blue dishes. Bookmark the permalink.